Yummy, Low Calorie Diet Food -- Plus Where to Buy! 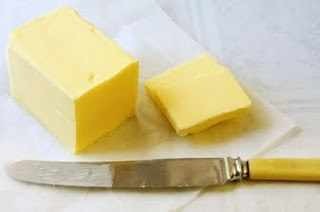 : Which is Better For Your Diet - Butter or Margarine? Which is Better For Your Diet - Butter or Margarine? The age-old debate on which is better – margarine or butter (or could it be Parkay, like in the old commercials) rages on. If you are looking at which is better for you – from a fat and calories standpoint, the fact is that they are almost equal. Both margarine and butter are around 35 calories and 4 fat grams per teaspoon. But is one of them better for you than the other? Well, sort-of. Are there other, better options out there? Yes, absolutely! Butter is an animal product. It is high in saturated fat and dietary cholesterol. Butter in your diet can not only clog your arteries but it can also increase your risk of heart disease and deadly or debilitating stroke. It is also suggested by some research that butter can contain traces of antibiotics and hormones that are fed to animals. And even though butter is a rich source of fat-soluble vitamins like Vitamins A, D, E, and K, this one small healthful benefit, although a real one, doesn’t outweigh the bad things that butter represents. In truth, the fact that people who make and sell butter would even bother to point out that butter provides you with these vitamins is akin to their grasping at straws to try to save an industry that is on the decline. You’d have to eat a lot of butter to reap any benefits from it, but by that time, your arteries would be running with pure butter….now on to margarine. Ah, margarine. Butter’s cousin from the ‘other side of the tracks’. At first glance, margarine appears (big emphasis on the word ‘appears’ here) to have everything right that butter gets wrong. It is made from vegetable oil, and it is low in saturated fat and contains no dietary cholesterol. But that’s where its accolades stop suddenly, especially if you are purchasing the stick margarine that is so popular these days. The process that stick margarine goes through in order to be hardened is called hydrogenation, and it is high in trans-fatty acids. Trans fat not only raises your bad cholesterol – but lowers your good cholesterol, which is your defense against artery clogging fats! Yep, trans fat can be more evil than saturated fat, it’s true. So what’s a girl (or guy) to do to get that delicious buttery flavor? Enter the light spread. There are a few light spreads (and even some light margarine) on the market that is completely trans-fat free! I particularly like Promise Light Buttery Spread as a low fat butter substitute. There are also some spreads out there that contain plant stanols and sterols, which block cholesterol from being absorbed by the body. These light spreads (and some margarines) have not been hydrogenated, and are sold in tubs, not sticks. For cooking, spreads are not ideal. Choose heart-healthy canola or olive oil instead, or better yet, opt for a low calorie cooking spray or low cal broth which will shave off additional fat and calories. When baking, try substituting low fat or fat free yogurt or low calorie sour cream, or fruit purees in recipes that call for butter or margarine; recipes like this are still delicious, they are just a bit “denser”. Great topic! Personally, I can't abide the taste of margarine, so I won't use it. Ever. I do use real butter, mostly for baking, but also choose to use less of it where possible. For things like toast, we do use light spreads - my favorite being Brummel and Brown, which has some yogurt in the mix. I really like the buttery spreads that are made with olive oil, they have a rich taste that is so much like fresh churned butter. Perfect on a bagel or even a piece of whole wheat raisin bread.